A couple of weeks ago a bought a net filled with bright orange satsumas. Perfect little squashed ovals of sunny delight, bursting with sweet flavour that could be devoured at my desk as part of my resolution to quit my love affair with the office vending machine. But instead of the sweet fruit I had devoured by the bucketload before the New Year, this bundle was lip-puckeringly sour – the type of sour that builds over the bridge of your nose and spreads across your face like a wave of heat. I would turn red with every slice, the skin impossible to separate from the pith, sending peals of juice squirting over my desk with every attempt. I wanted to throw the lot away but I just couldn’t resign these satsumas to the bin, no matter how awful they were. So I made a cake. It may seem like an odd start to a recipe – boiling the sourest oranges imaginable with a pinch of cloves before blending into a paste, but it’s rather therapeutic. Filling my kitchen with the sweet scents of orange and clove, it was like Christmas-but not quite had re-arrived in my flat. 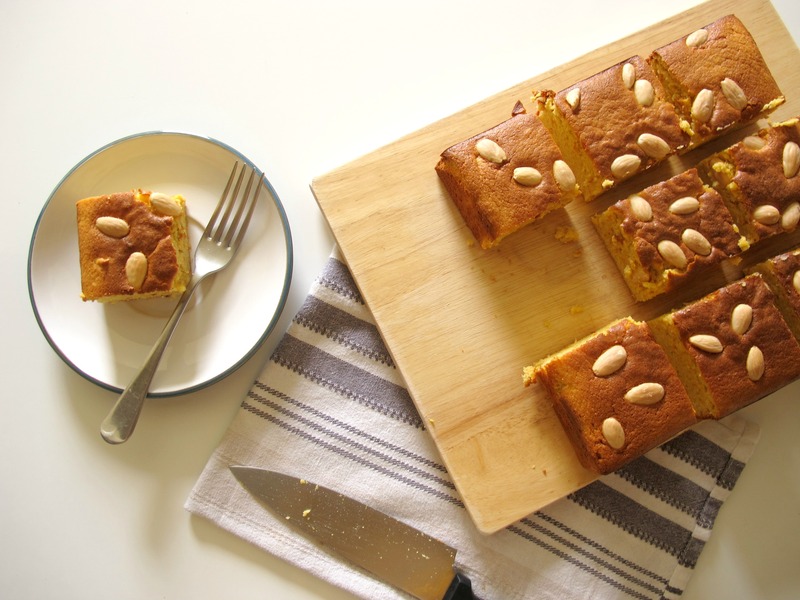 Blended into a chunky paste and mixed with the gluten-free fanatic’s favourite almonds, those sour-as-hell satsumas were transformed into the softest, pillowy sponge – sticky from the fruit but balanced by the nuts. Sweet spice lifts each slice with warmth without the hot flush the fruit on its own would bring. I’ve said it before and I’ll say it again – baking is just like magic. 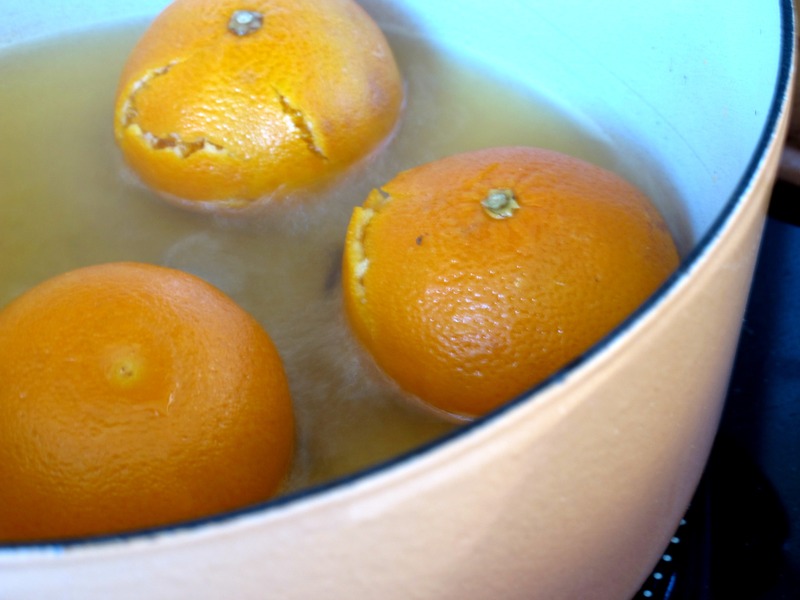 Place the oranges in a heavy bottomed pot with the cloves, cover with water and bring to the boil, leaving to simmer on the hob for two hours. Meanwhile, blitz the ground almonds, sugar, sweet spices and baking powder together in a food processor to make the mix super fine and to remove lumps. Once the fruit has been cooking for two hours and is soft, drain the fruit and leave to cool. Cut into pieces and remove the pips then blend in the food processor to a paste. You can keep some chunks for texture or blend until like fine marmalade – the choice is yours. Preheat an oven to 190oc/170oc fan and grease and line a 7 x 7 cake tin. 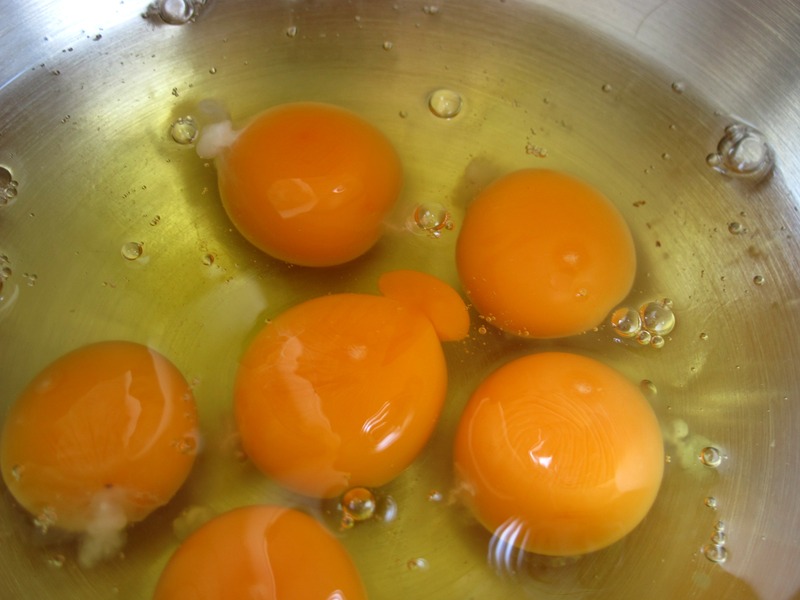 In the bowl of a stand mixer – or a large bowl if mixing by hand – whisk the eggs until starting to foam, then beat in the almond and sugar mix. 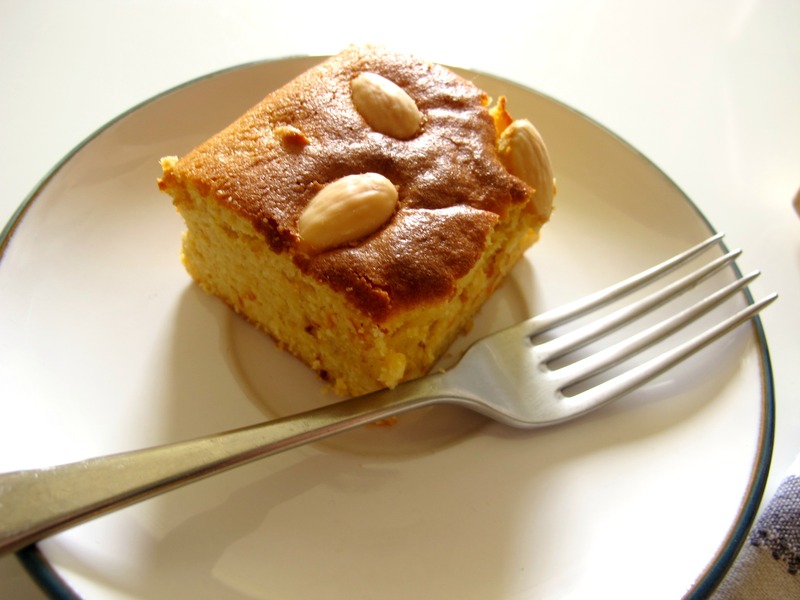 Tip in the orange paste and beat before pouring the batter into the cake tin, levelling with a spatula and dotting with the almonds. Place in the oven to bake for 1 hour. The cake will start to brown quite quickly, so cover with tin foil after around 40 minutes. 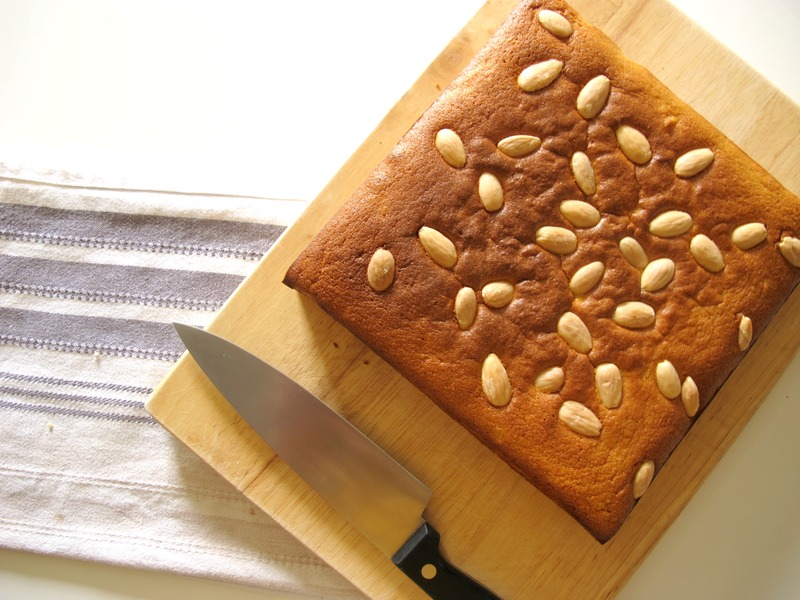 Remove from the oven and cool in the tin for 10 minutes before removing the baking parchment and cooling the cake completely on a wire rack. 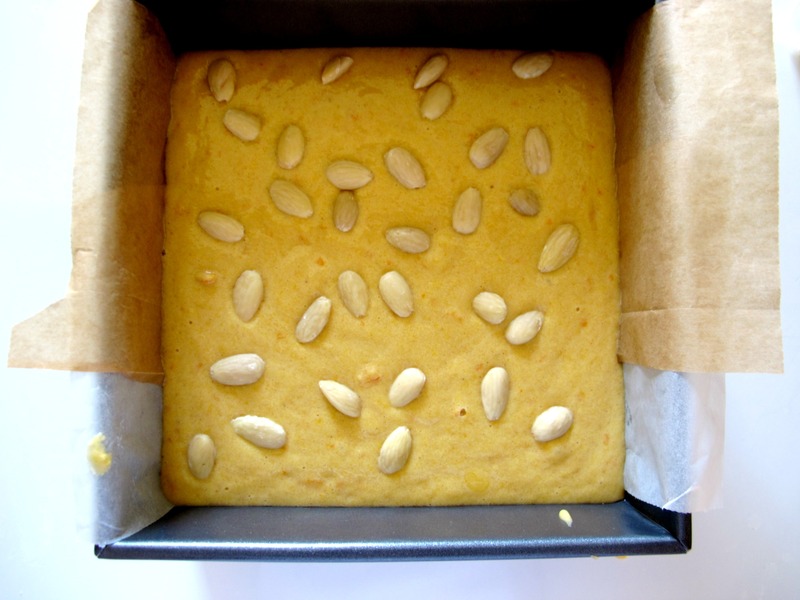 Cut into 9 squares and serve, ideally with some crème fraiche or natural yoghurt.